Note: when you purchase this print it will not say "DarkHorse Ranch" across it. In order to keep the file size low, the picture here does not really do it justice - the text in the original is extremely crisp and the colors are soft and flowing. 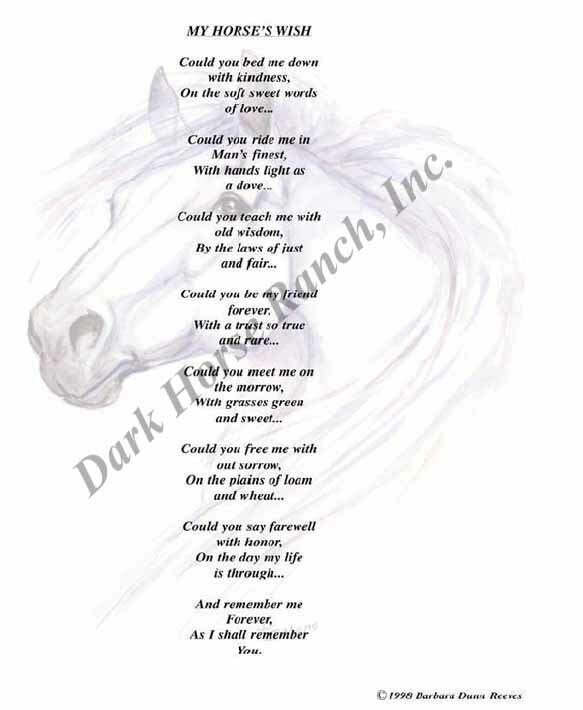 To order by check, make a check for $24.00 payable to "Darkhorse Ranch" and mail to: Darkhorse Ranch ("My Horse's Wish"), PO Box 122, Canadian, OK 74425 USA.